How I became a Perth dietitian specialising in digestive issues. My interest in this area stemmed from suffering with some digestive issues of my own- it is amazing how some pain and discomfort focuses the mind! Now I regularly see people who have had a long history of digestive issues. Symptoms may include gastric reflux, nausea, burping, bloating, abdominal pain and cramping, flatulence, diarrhoea or constipation or all of the above. Symptoms may have bothered them for a short time or a longer time but the common factor is how much these symptoms interfere with them enjoying their daily life – family, social, work and play. To reduce symptoms they may have tried omitting one or more dietary components, talked briefly (short appointments) with their GP about it, seen a specialist once, read widely on the internet, bought expensive products and supplements and for all this effort still feel unwell and very frustrated. A visit with me allows time(first visit is one hour) to get the full medical and dietary history, look at any recent test results and dietary trial results as well as see what underlying causes need excluding –some tests can be done through your GP and others , if required, may need to be performed by a gastroenterologist. This methodical plan is what gets results, results that are very difficult to achieve with an ad-hoc approach. I have worked as a Dietitian for over twenty-five years in a range of health settings and am an Accredited Practising Dietitian. 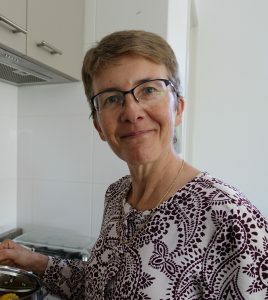 I now work at The Nutrition Specialists, Perth, with individuals needing to better manage their health and digestive difficulties .Keeping the focus on diagnosing the problem, avoiding unnecessary restrictions and finding practical ways for each person to maintain the diet changes they need results in increased digestive comfort . I am also a total food lover enjoying simple , minimally processed, delicious food. Posts will be added to this monthly so just check the archive and click on the latest month to reveal new posts. Fructans – ever heard of these? Some bowel action chat - Digestion Dietitian on What are FODMAPs ? Fibre and your Bowel - Digestion Dietitian on What are FODMAPs ?